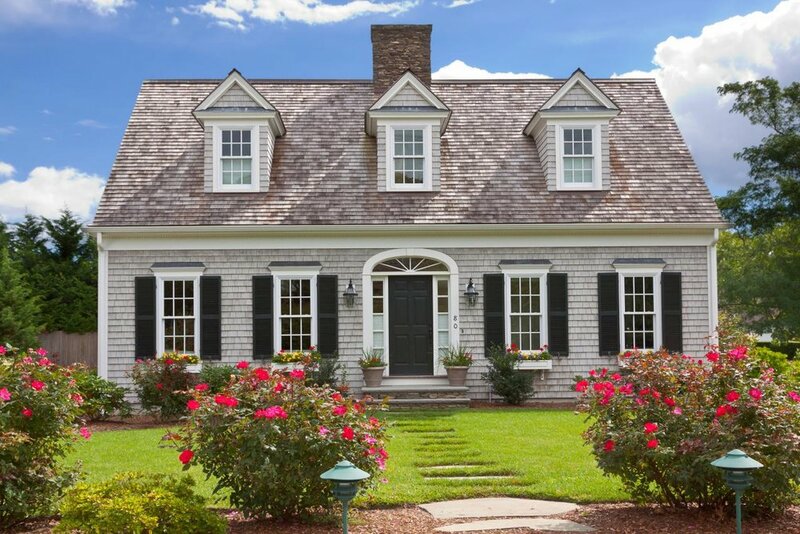 As you can see, symmetry is key to the Cape Cod-style home. But would you believe that the details we find so attractive actually served a function? Early English settlers in New England developed this style of home in the 1600s as a way to deal with the harsh winters. The central chimney provided heat to the home and the rooms that were clustered around it. The cedar shingles provided insulation and the steep roof allowed snow and rain to slide off easily. Most Cape Cod-style homes are also one and a half stories tall with a steep, narrow staircase leading to the second story so as to leave as much of the first floor square footage intact as possible. In fact, the staircase was called a “captain’s stairway” because New Englanders often rented their second story to boarders such as sailors en route from one place to another. Most of these homes were built around the 1950s so you’re likely to find them in more established neighborhoods. The efficient and cozy layouts make them ideal for starter homes and empty nesters or families who don’t need a lot of space. If you do buy one of these homes and find you need more space, people typically add on to the rear of the house so as not to disturb the traditional, symmetrical façade. If you’re looking for simple charm and efficient layouts, the Cape Cod-style home could be for you. It’s also a very customizable home. Many of the homes built after World War II have traditional exteriors but modern interior design and layouts, so you get the best of both worlds. And if you’re not into cedar siding, that’s not a problem. Exteriors of brick, stucco and stone all work exceptionally well with a Cape Cod-style home.